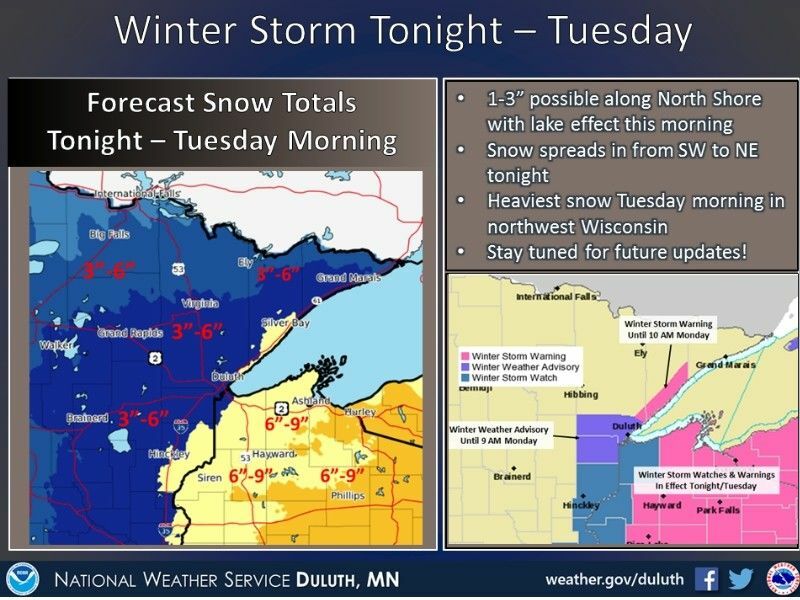 A winter storm system is expected to bring snow Monday night through Tuesday. A winter storm moves in tonight and lasts into Tuesday. The heaviest snowfall will be across northwest Wisconsin where 6 to 9 inches of accumulation will be possible. Multiple watches, warnings, and advisories are currently in effect for this system.